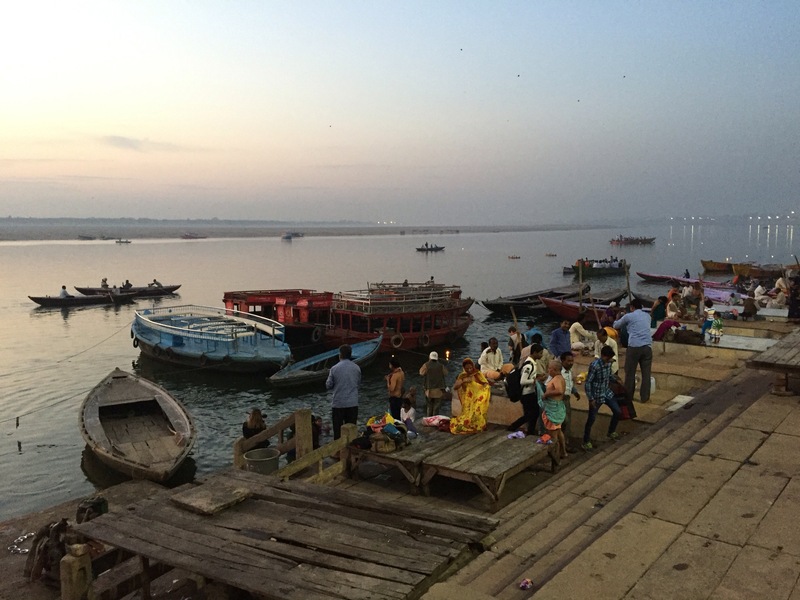 Maybe it’s because I am currently in India, but I cannot think of a better way to wake up then going to ghats in Varanasi and watching the sunrise. Walking through the streets at five o’clock in the morning, lead by our guide Amit, we saw some pretty unpleasant things, which I won’t describe for you here. You have to take the good with the bad and accept that it’s all part of the experience. India being a country of stark contrasts, there is always an opposite image readily available. The walk to the ghats also provided us with loud songs sung by large groups of Hindus making their way down for a morning bath and prayer. 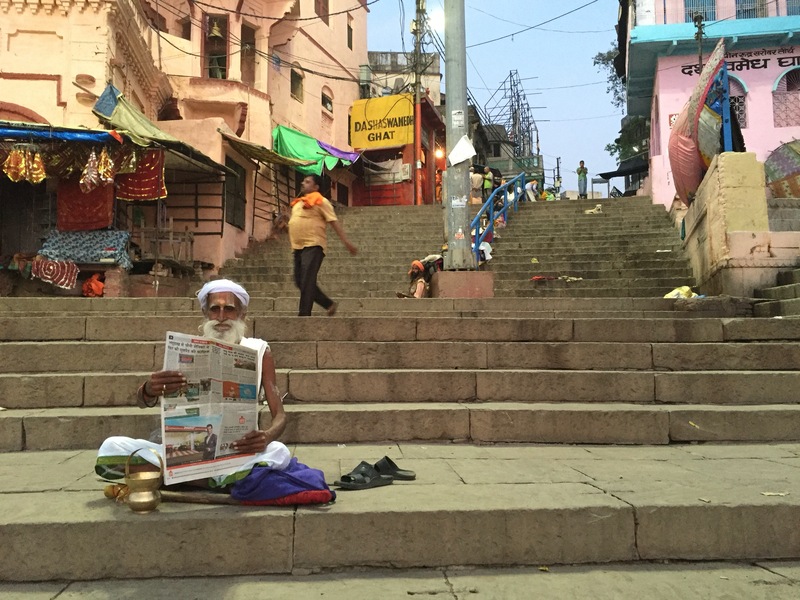 There are 84 ghats along the Ganges River, which are basically different sets or sections of stairways leading into Ganga (pronounced gong-ah…the second “g” is soft, like in the word “game”). Each ghat has it own uses, generally. There are ghats used for prayer, cremation and even laundry. Amit walked us along the Dashawamedh Ghat while explaining the different things we saw; holy men covered in white ash, beggars pretending to be holy men, candles and flowers and garlands being sold and used for prayer and floated out into the Ganga, various temples dedicated to the different Hindu Gods…everywhere we looked was something beautiful and fascinating. The ghats in Varanasi are stunning; close your eyes, point your camera and press the shutter button – you will get consistently beautiful and interesting photos, regardless of what you’re looking at. We then climbed aboard our boat to watch the sunrise from the river. There is something magical in this river, especially at sunrise (I can’t wait to see the sunset tomorrow! )…the energy and dedication and worship being put into the river is really something special; even if you’re not a religious person, you have to appreciate the beauty in this place and commitment that each Indian person has to their own faith. Sounds like you are having a good time so far. The pictures are beautiful. Thanks for sharing this experience with me.